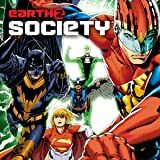 The saga of Earth-2 reaches its cataclysmic conclusion! 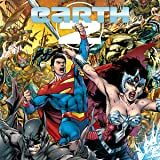 The heroes of Earth-2 have been brave and bold in their resistance to the forces of Darkseid, but some enemies cannot be defeated. 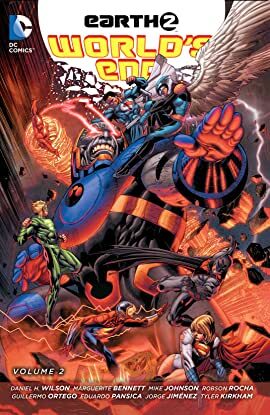 Sometimes the inevitable can't be stopped-and now their Earth is being devoured by Apokolips. Humanity's only hope is escape. But with Darkseid's legions descending on Earth, it will take the combined might of every superhero on the planet just to give humanity a fighting chance. 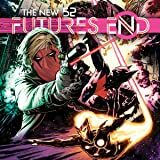 While Batman and his granddaughter Huntress go searching for Bruce Wayne's secret doomsday contingency, the last survivors of Krypton-Power Girl and Superman-must face their own powerlessness in the face of Darkseid. While an entire planet fights for survival, the fate of the human race may ultimately come down to one man: Alan Scott, the Green Lantern, chosen Avatar of the Green. But in humanity's final hour, will Alan have what it takes to wield the power of all the Avatars and fulfill his true destiny? 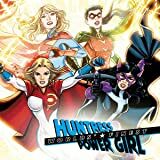 Features writers Daniel H. Wilson (Robopocalypse), Marguerite Bennett (SUPERMAN: LOIS LANE), Mike Johnson (SUPERGIRL) and Cullen Bunn (GREEN LANTERN: THE LOST ARMY), along with an incredible team of artists including Robson Rocha (BIRDS OF PREY), Tyler Kirkham (ACTION COMICS) and many more! 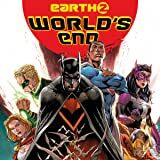 Collects EARTH 2: WORLD'S END #12-26.